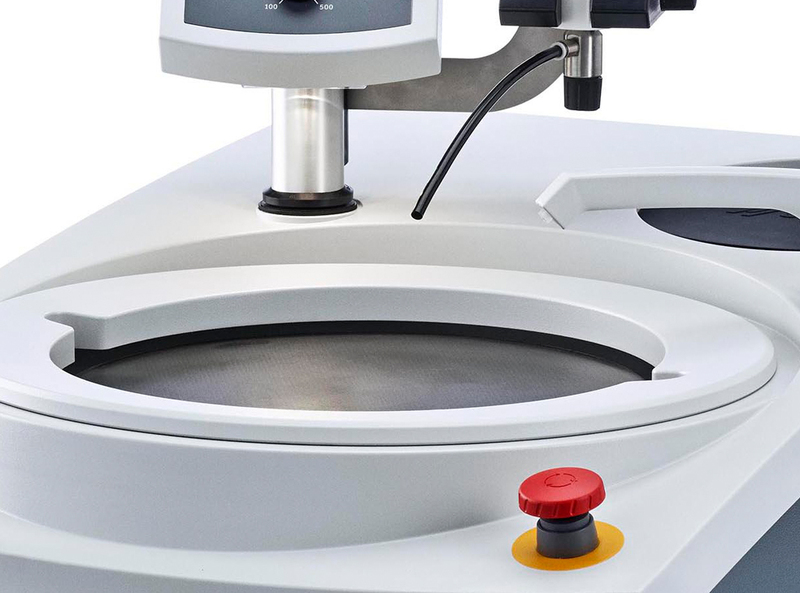 Designed for reliability and speed for manual and semi-automatic grinding and polishing in the lab or next to the production line, LaboSystem is ready for your inspection. 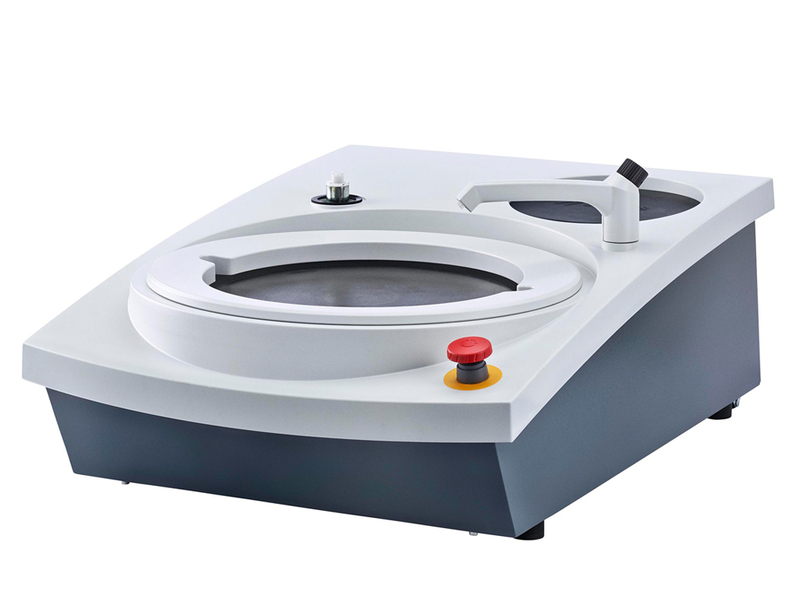 The LaboSystem is a modular grinding and polishing system, offering a choice of three LaboPol polishers, three LaboForce specimen movers, and two LaboDoser dosing units. The three units enable seven robust combinations to provide adaptability for the changing needs in demanding production environments. 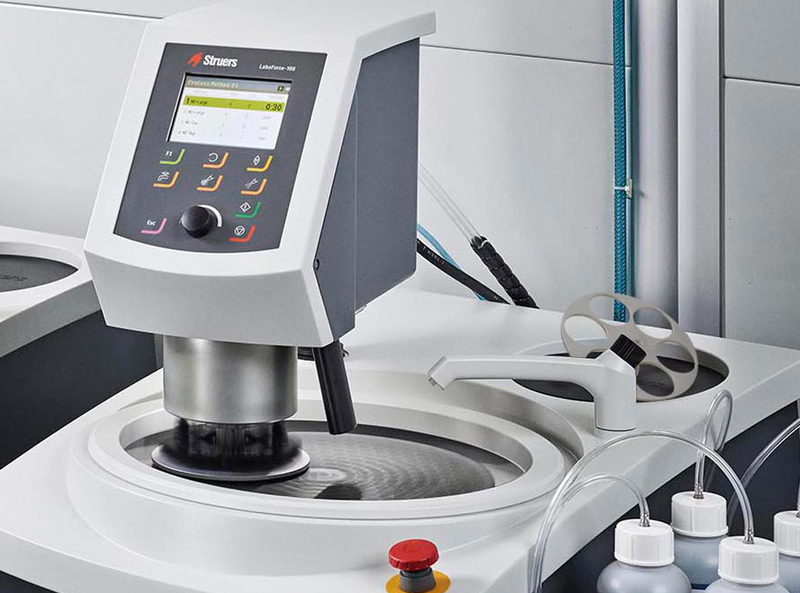 Struers’ LaboSystem also has the endurance and speed needed to keep up with 24/7 throughput, enabling faster and more reliable preparation of specimens. LaboPol is made from overall corrosion-resistant and impact-proof materials. All the new LaboSystem products have been subject to 40,000 cycles of durability testing and six months of field tests in four different countries. LaboSystem is easy to learn, enabling operators with no previous experience to come up to full preparation speed within minutes. The 300 mm dia. 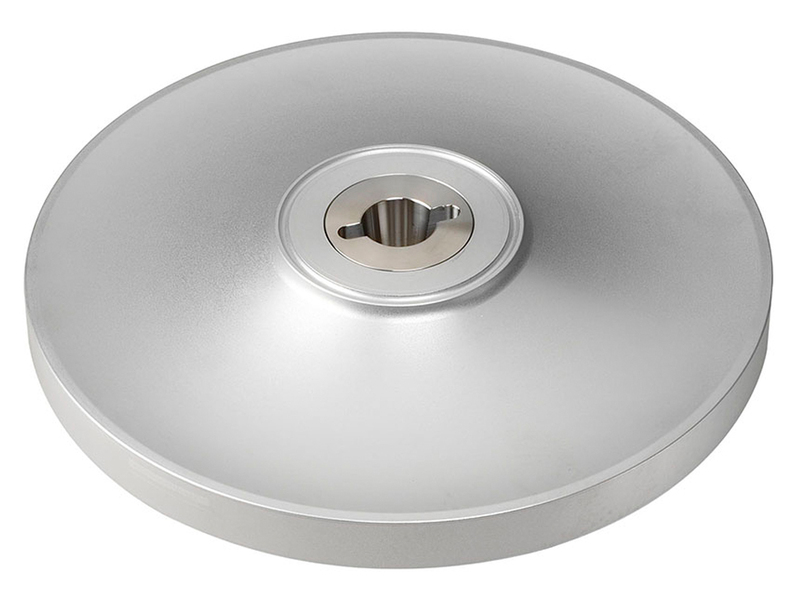 disk size option means 44 larger preparation area (compared to 250 mm dia. ), shorter processing time, and less time standing at the polisher. The modular design of LaboSystem allows the users to design preparation or grinding/polishing equipment to suit their individual needs. It is possible to upgrade LaboSystem along the way to accommodate new requirements. 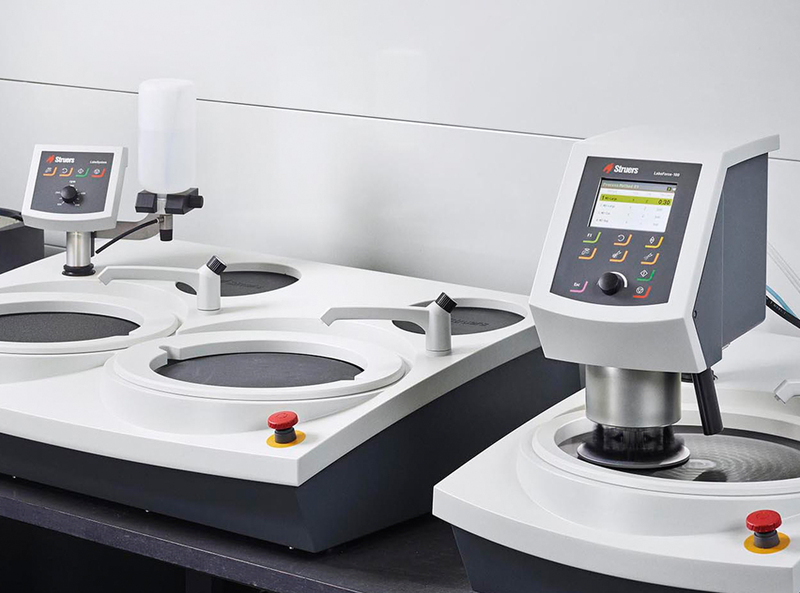 LaboSystem has undergone more than 40,000 cycles of durability testing and has been subject to six months of field tests in Germany, the USA, the Czech Republic, and Norway. Save time with fast removal of the disk for cleaning. 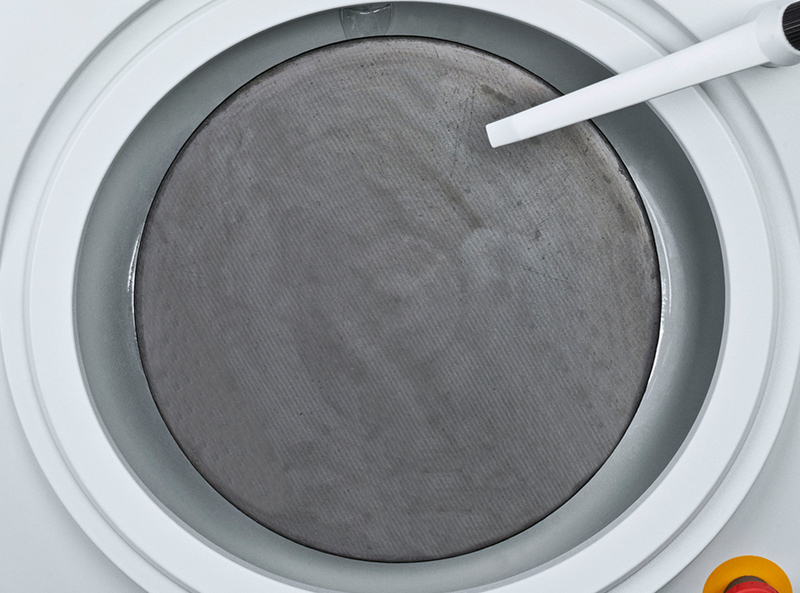 The high mass of the cone disk ensures a lower preparation temperature to reduce the consumption of consumables. Shorten preparation time with easy access to the preparation disk. Use LaboSystem wherever it is needed. Overall corrosion-resistant and impact-proof materials make it suitable for demanding environments. Save time and effort with the bowl liner (standard on all LaboPols) for easier cleaning of the bowl. Soft start ensures less wear and a longer service life for the LaboPol. The elevated control panel is entirely free from water splashes and damage from heavy, loose specimens, and avoids accidental changing of the rpm setting. When pressed, the emergency button immediately stops all moving parts. The small gap between the splash ring and bowl prevents injury to fingers. The storage pad can be used to keep unused specimen mover plates, for example, within easy reach when needed. 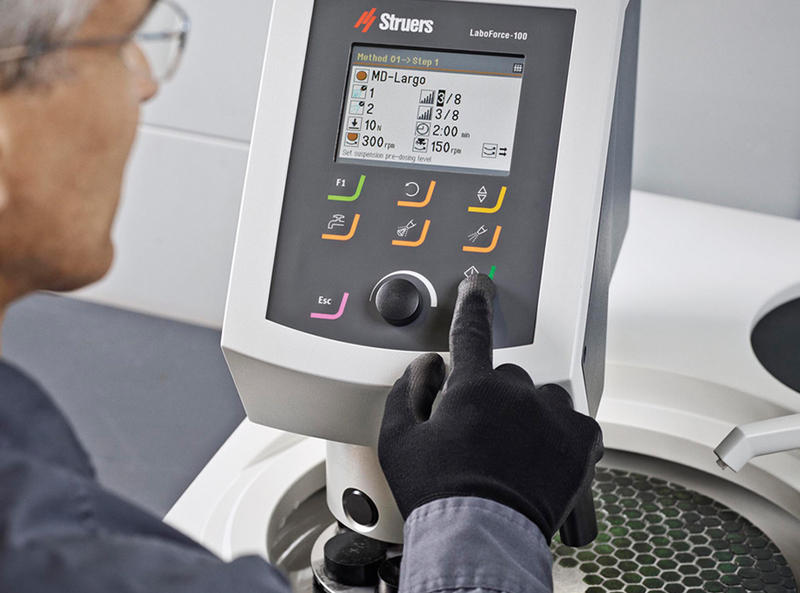 The modular design of Struers’ LaboSystem gives the user the assurance of compliance with evolving needs. Upgrades can be done later on with an automatic LaboForce specimen mover and an automatic LaboDoser. 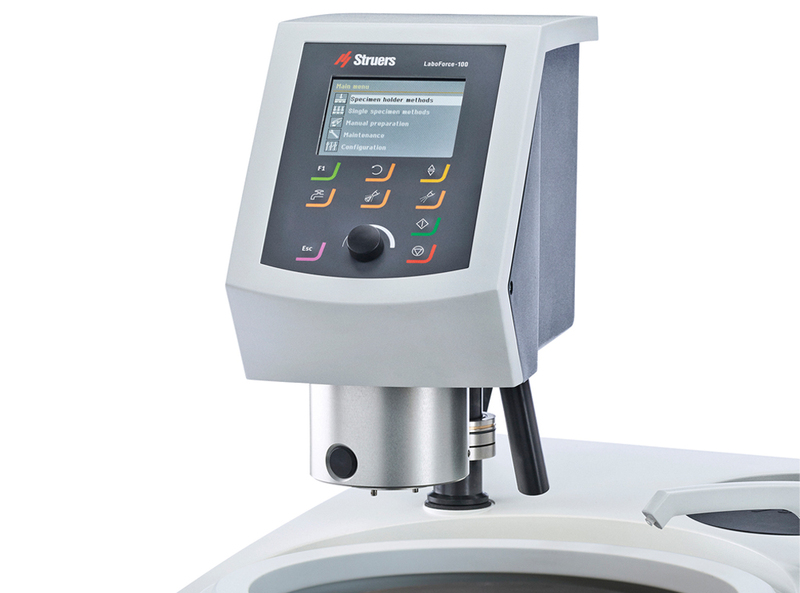 LaboSystem is available in many variations, see specifications for details. are ordered separately. Specimen mover LaboForce-50 can be mounted. Grinding/polishing machine with variable speed (50-500 rpm) for 230, 250, or 300 mm dia. disk. Supplied with manual splash guard and bowl liner. LaboUI control panel and disks are ordered separately. Specimen mover LaboForce-50/-100/Mi can be mounted. Grinding/polishing machine with variable speed (50-500 rpm) for two disks, 250 or 300 mm dia. Each disk with automatic water valve, manual splash guard, and bowl liner. LaboUI control panel and disks are ordered separately. One specimen mover LaboForce-50/-100 can be mounted.